The most popular hamster is the long haired hamster; better know as the teddy bear hamster due to its cuddly appearance. Male long haired syrian hamsters have a longer coat than female long haired syrian hamsters. 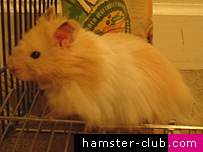 The male hamsters will display a more prominent mane of longer hair around the neck. Only choose a long haired hamster if you are prepared to groom your hamster to prevent its hair from becoming matted. 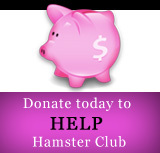 Hamster grooming needs to be carried out gently, because the fur is quite fine and can be damaged quite easily. 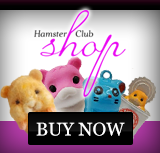 Long haired hamsters should have paper bedding instead of shavings as paper bedding is far less likely to become caught up and matted in the hamster�s coat. The hamster's coat can be groomed with a clean toothbrush.